This month we are focusing on individual liberty. We will discuss how to make safe choices and make links to the greater freedom children have in the summer holidays. We will discuss how children can use their freedom wisely and keep themselves safe and healthy. 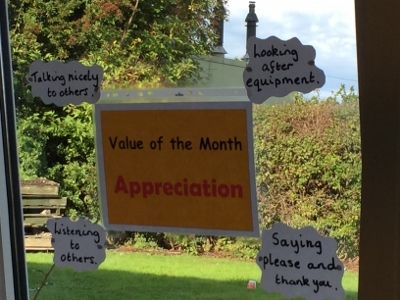 June’s value of the month was Democracy and the whole school focused on the importance of voting nationally and in school using the School Council to agree decisions for how to make our school better. See if you can find out from your children what we’ve been talking about in school around this important value. 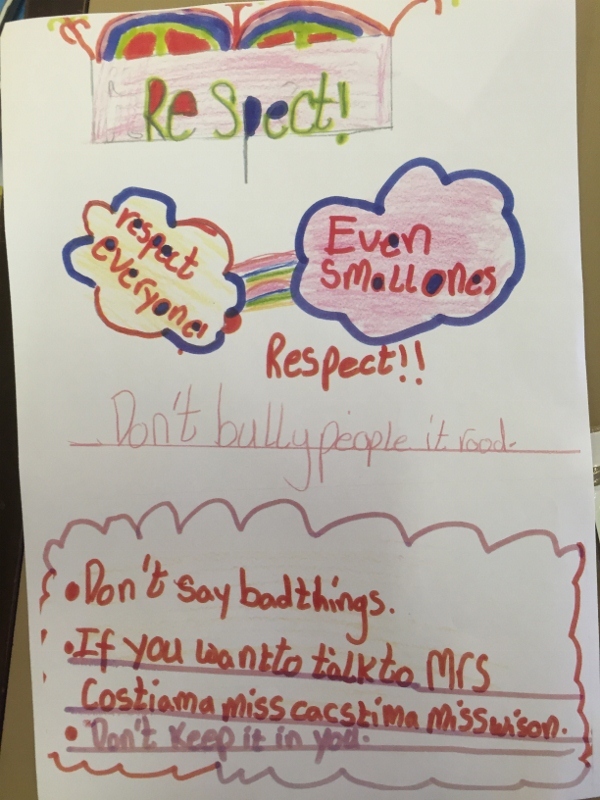 May’s focus on tolerance is a value we feel is really important for life at Gayton. 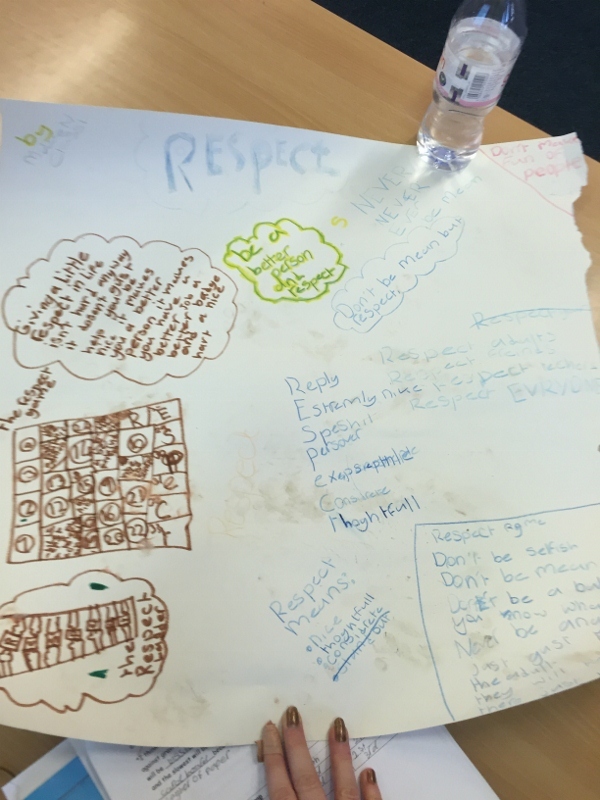 We talked to the children about differences, including differing opinions, and how to be respectful of these. 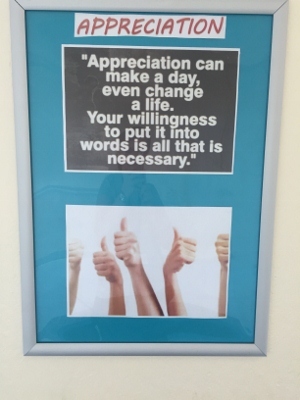 April focused on all the important work we do for charity at Gayton and the importance of giving. 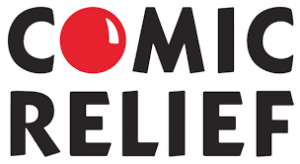 We talked to the children about the different ways we support others through our work with David in Kenya, raising money for the Brake charity and for Comic Relief. We’ve raised a lot of money for all of these causes this year. 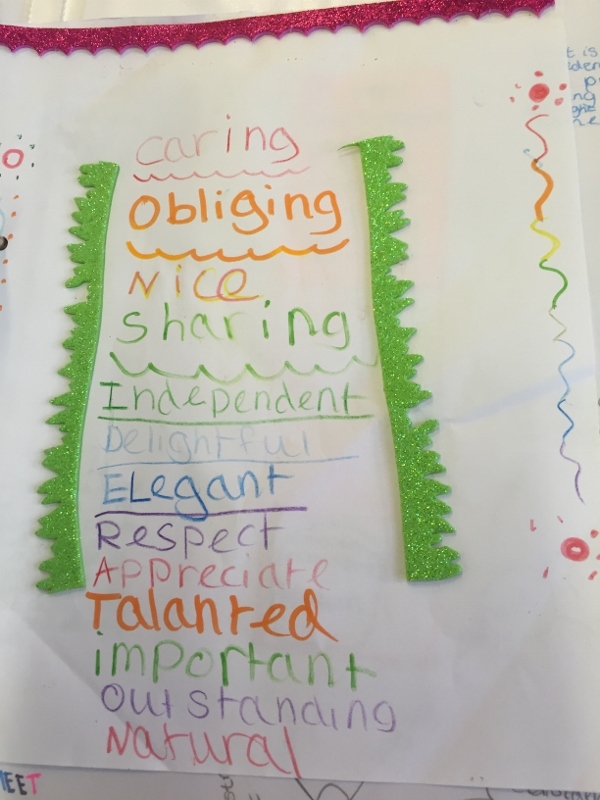 As Mothering Sunday fell in March, we encouraged the children to think about what others do for them and how they can show their appreciation: this may just be with a smile or a thank you or by doing something in return. 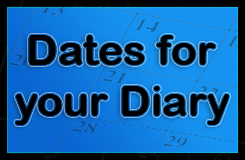 Honesty is our focus in February. 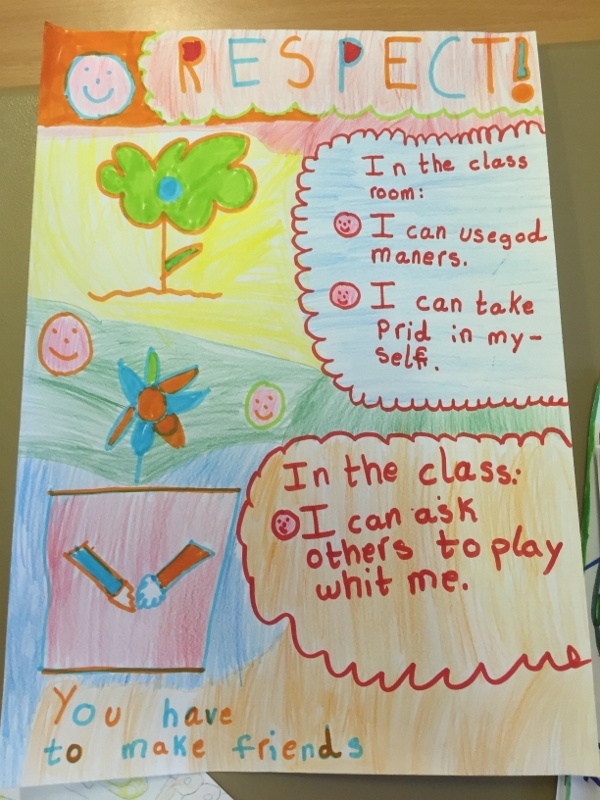 We talked to the children about the importance of being honest with others and with ourselves so that we know when we’ve really tried our best and when we need to try harder. This was reinforced through assemblies with Pastor David Fielding. 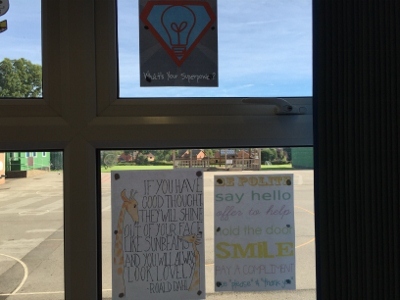 Resilience is the focus for January – encouraging the children to try and try again. 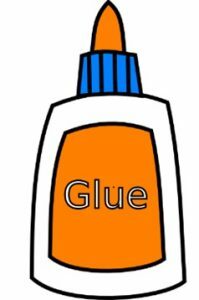 One of our new learning icons is a pot of glue, reminding us all of the need to ‘stick at it’, be resilient and keep trying even when things are difficult. 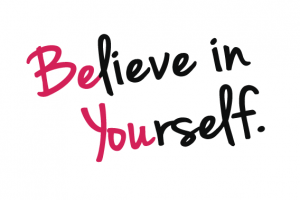 It is important that the children see themselves as capable, successful learners so that when they move on to the next phase of their lives, such as moving to secondary school, they feel ready and confident to face new challenges. December saw us focus on the Rule of Law, which involved us discussing the different laws we have and why we need them. Some of these tied in with our work on Road Safety, during which we discussed the laws of the roads that keep everyone safe. During November our focus was respecting other religions. Many religions have festivals approaching, such as Diwali, Hanukah, Christmas, etc, so it is a good time to remind the children that there are a varitey of religious beliefs in our society and that we should respect each one, even if we are following them. 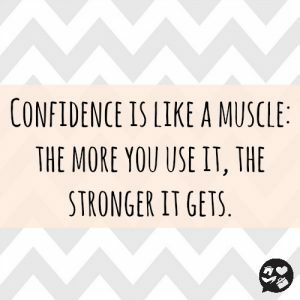 In October, we focused on confidence, one of our key Learning2Learn skills. 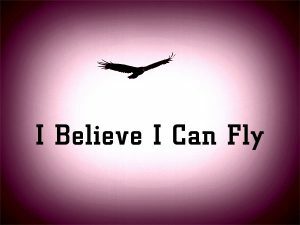 We talked about how we could be come more confident learners and how the tasks we are given by teachers can help us to do this. 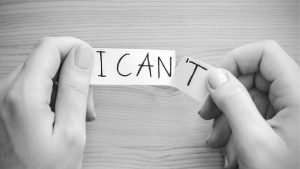 In some lessons, we talked about having a more positive mindset when approaching things we find difficult or think we cannot do. Our first value for this academic year was equality. We discussed equality and diversity: the idea of promoting and accepting the differences between people. More specifically, equality is about ensuring individuals are treated fairly and equally, no matter their race, gender, age, disability or religion. 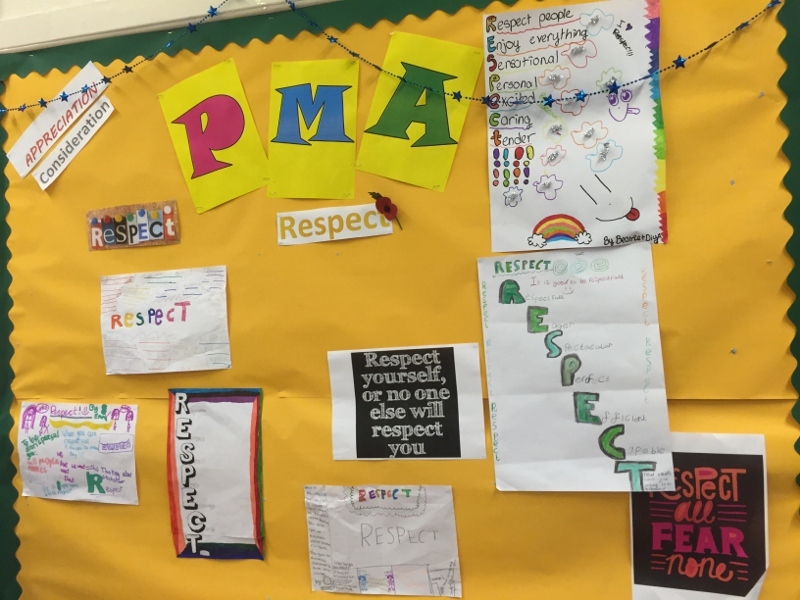 Our Year 4 and Year 6 children have explored human rights in their PSHE lessons, linking in with the value that everone has equal rights. For July the school looked at arguably the most important value, friendship. This tied in well as it is also a value for the Olympics and Paralympics, which are happening in the summer holidays. The children learnt about an international friendship between a school in the UK and one in Brazil. For the Year 6 children, friendship is a particularly powerful value as they say goodbye to old friends and prepare to make new ones at their secondary schools. We wish them all the best in their futures! In the month of June we looked at the Government’s last British Value, “The Rule of Law”. The whole school learnt about how British laws began from the Magna Carta. They then did a quiz about the legal age for various aspects of life and understood more about criminal justice system of today. 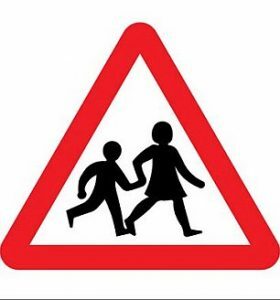 Some very important laws for the road were followed when Gayton went on their walking bus in the local area to highlight road safety. 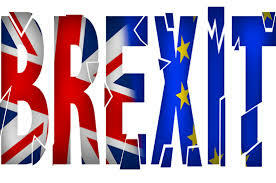 Finally in class 3, the children learnt about the EU referendum. 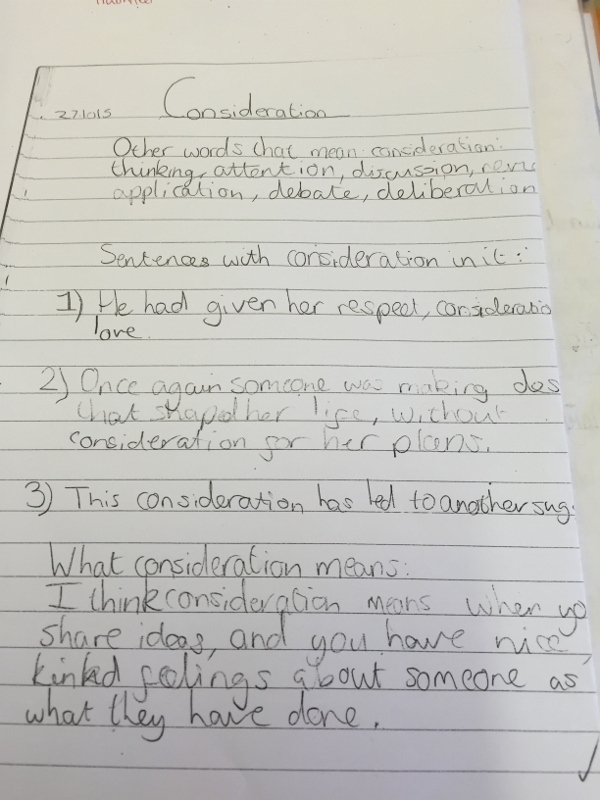 They talked about it and discussed if their class should separate from the rest of the school. By holding an in/out poll, the year 3’s voted to leave the rest of the school! Luckily this was a hypothetical vote. 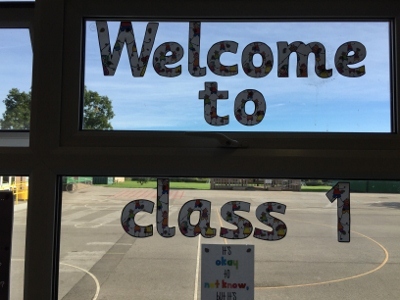 In May we looked at the value of perseverance as the children at the top of the school had been persevering very hard towards something – the year 6 SATs! Some year 6’s stood up in assembly and discussed times in their lives when they had persevered, for example training for swimming competitions or trying out for the girl’s football team. We also looked at a creative example of perseverance regarding Dalton Ghetti who is an artist. He perseveres over many hours to create tiny pieces of art on pencil leads! April’s value was tolerance and the Gayton children understood what it meant to be tolerant of other people’s views. We discussed this in assembly and read a story about Scuttle-ball. This is the name of ant’s football and was played by all the different species of ants competing against one another. The ants did not show respect for the game so the elders decided to mix all the teams up so that they could be more supportive. 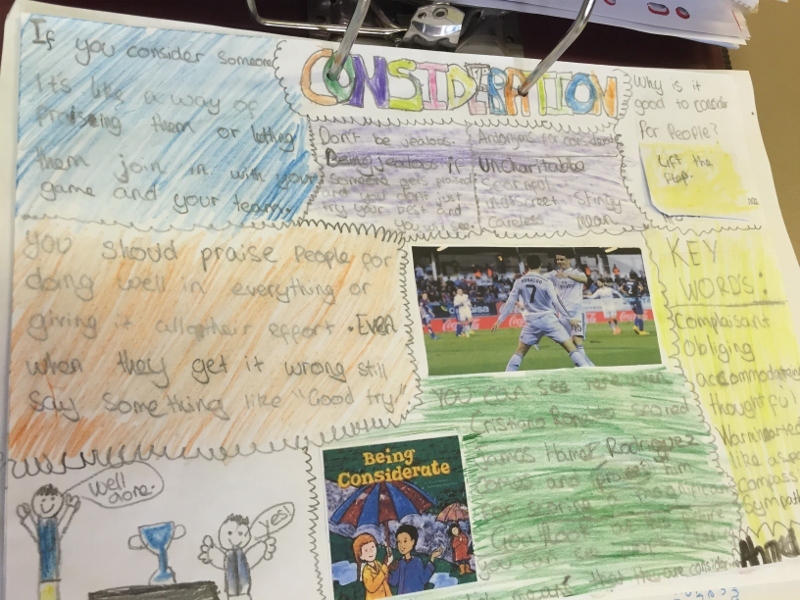 We linked tolerance to behaviour on the football pitch and in the stands and looks at some recent examples of intolerance that have made the news. Tolerance also linked to the “Kick it out” and “Show a red card to racism” campaigns. In March the value of the month was Individual Liberty, which means the freedom to do as you wish within the law of the country. In assembly, the children listened to a very interesting story about the liberty of Muggle Fuggers who whose energy was being stolen for the good of another town! In February the value of the month was Democracy which linked to the Government’s 5 British values that all schools should promote and uphold. 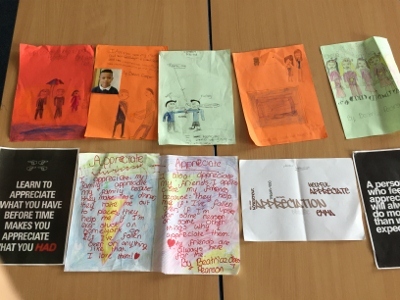 Great fun was had in Miss Barfield’s class where the pupils got the chance to vote for a leader and hold a free choice afternoon, where they democratically decided their activities! Mrs Costema also worked on the Magna Carta with year 4, enabling them to learn about this significant document in our British history. The children also learnt about Democracy in assembly. In January the value of the month was Honesty and the children listened to assemblies about the importance of telling the truth. Gayton children then discussed in class how even little white lies can get people into trouble! December’s word of the month was charity. 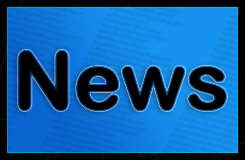 Members of Gayton Junior School are very charitable, having already raised money for: Children in Need, Brake (road safety charity), The Royal British Legion (through the Poppy Appeal) and Text Santa. However this value was concentrating on how we can be charitable with things we already have, like donations or by volunteering our time. 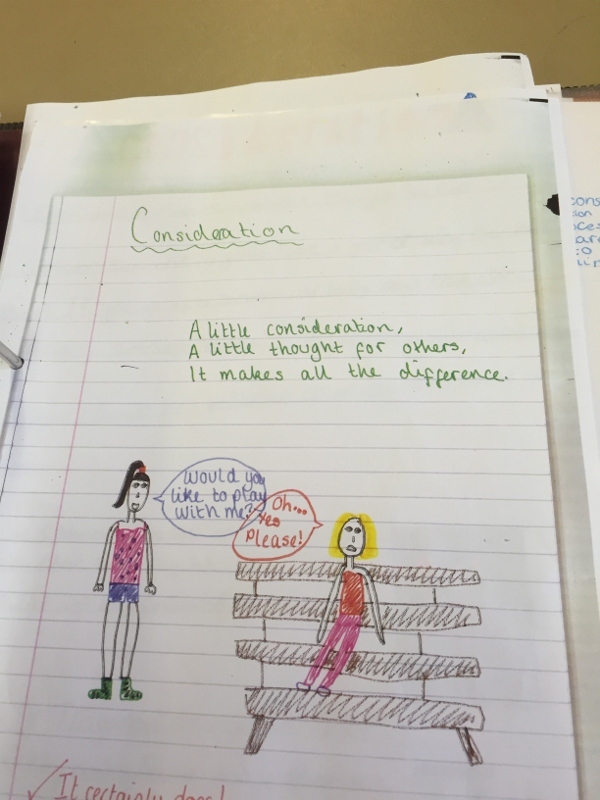 Year 6 spent their R.E. lessons learning about charity, as it is an important value to many religions. On December 14th we had a Christian faith day – looking at the true meaning of Christmas – and we wore Christmas jumpers to raise money. We also learnt about special charities that help people at Christmas like Crisis and Operation Christmas Child. We considered the gift of a good deed, how we could give up some of our time to help another, as a free Christmas present. 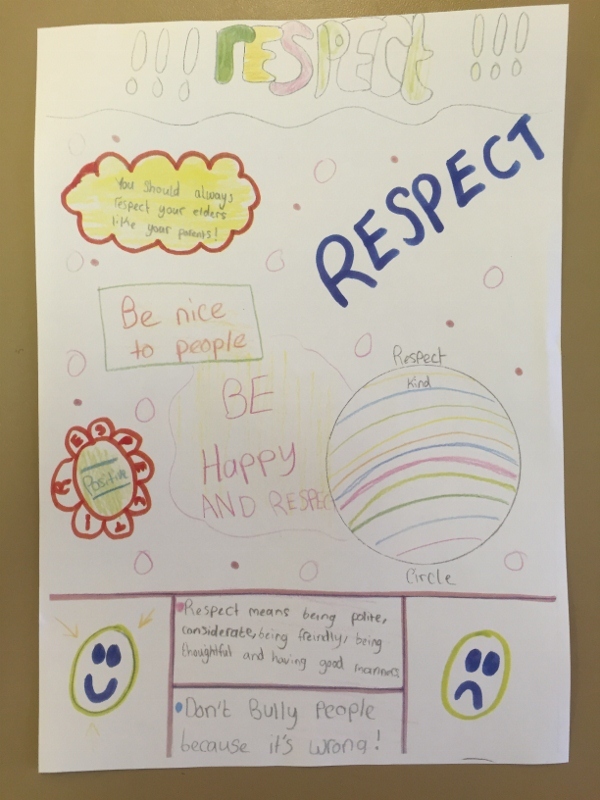 The word of the month for November was respect. We linked this to remembrance and marked Armistice Day with a 2 minute silence at 11 o’clock on Wednesday 11th November. Lots of children also bought and wore poppies as a mark of respect. 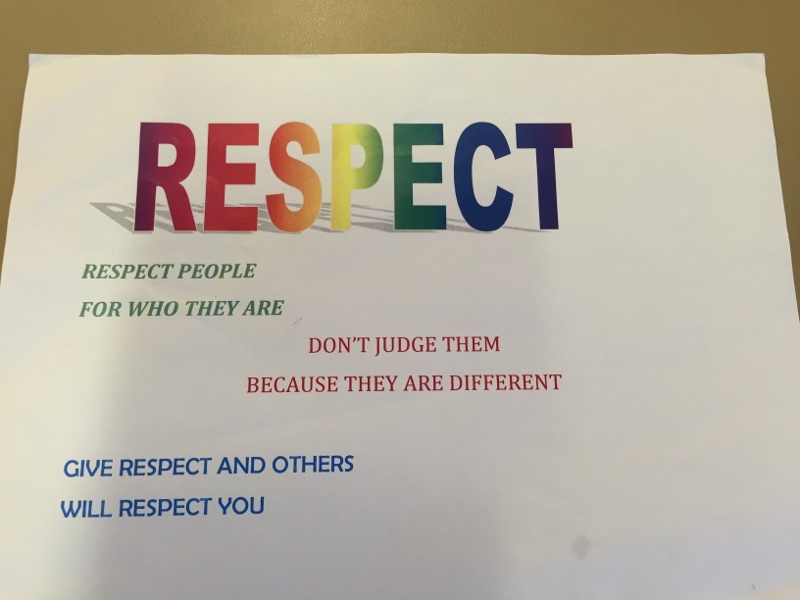 There was an assembly on Respect for Upper School and lots of children brought in extra homework for all different types of respect and what it means to them. Class 5 linked respect to the Netball they were playing in P.E. 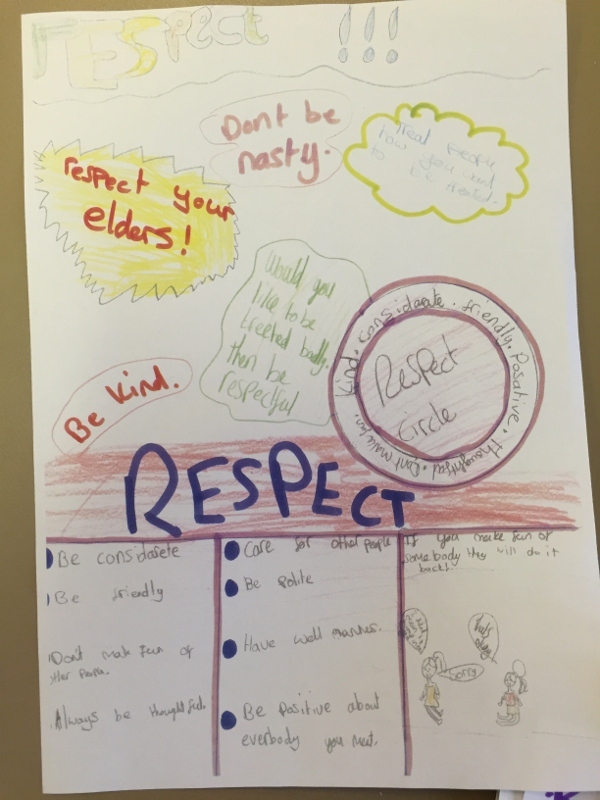 In class 9 the children sang a song in rounds that was about respect. 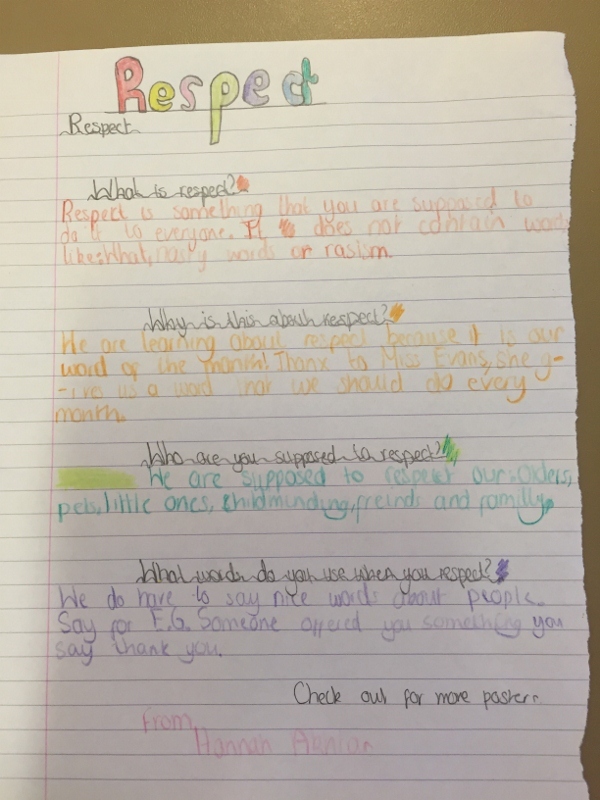 We also thought about how to respect the victims of the Paris attacks and discussed this in assembly. 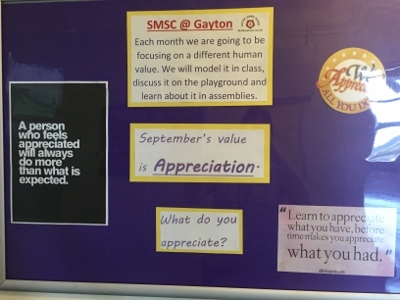 In October, all of Gayton looked at the value of consideration. We tried hard to consider other people’s thoughts and feelings, especially those people who may need a little extra help. 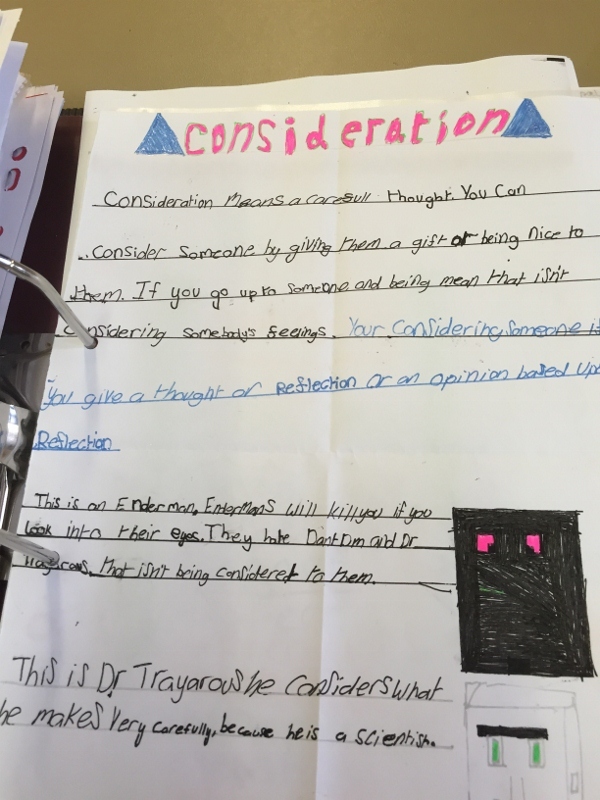 Lots of children from all year groups produced homework about consideration.